Schleitheim is a small municipality in Switzerland very near the German border. It has a population of 1,719 inhabitants. 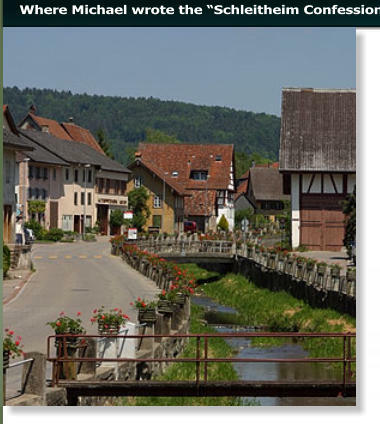 A border crossing into Germany is located at the village of Oberwiesen and crosses into the German state of Baden- Wurttemerg. 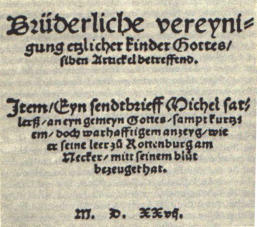 It is known as the location where the seven articles of the “Schleithein Confession” were written by Michael Sattler in 1527. Schleitheim was one of the first communities entered by the Anabaptist movement. Various museums display local art, folk art, geological finds and historical artifacts.